Super Savings Item! 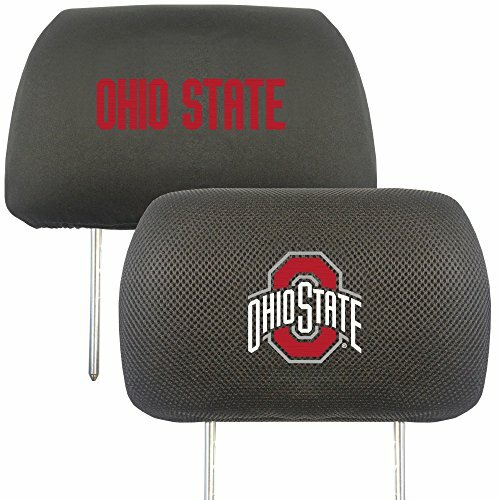 Save 33% on the Fanmats 12589 NCAA Ohio State University Buckeyes Polyester Head Rest Cover, 10''x13'' by Fanmats at Basket Express. MPN: 12589. Hurry! Limited time offer. Offer valid only while supplies last. FANMATS Ohio State University Headrest Covers are packaged in a set of two covers. Show off your team's pride and protect your vehicle's headrests. FANMATS Ohio State University Headrest Covers are packaged in a set of two covers. Show off your team's pride and protect your vehicle's headrests. Each headrest cover is stylishly embroidered with the team logo on the front and the team name on the back. An elastic band provides a snug fit on most vehicles, and makes for a user-friendly installation. The comfortable material will soon become a favorite addition to your ride. Truly the ultimate accessory for the ultimate fan.